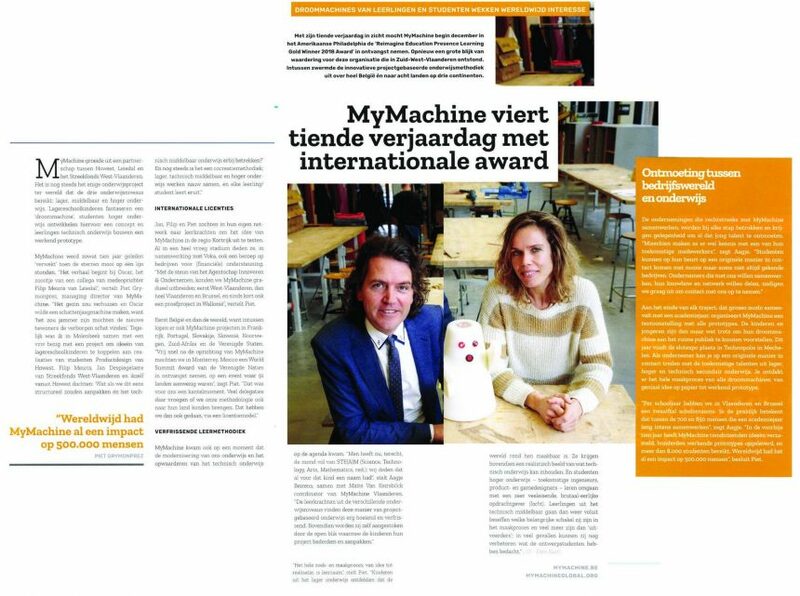 The February edition of the magazine “Ondernemers” (Entrepreneurs) of the Belgian Chamber of Commerce (VOKA) features an interview with MyMachine Flanders & Brussels coordinator Aagje Beirens and MyMachine Co-Founder Piet Grymonprez. The article focusses on the Global Reimagine Education Presence Learning Gold Winner 2018 award MyMachine received in Philadelphia last December and how exactly MyMachine really works. Thank you VOKA for this publication as it reaches out to business leaders in the country. From our very first day of existence, we’ve always been keen on establishing a good link with the industry.